Before I left the USA, I had some vague plan to photograph the shoes in various spots around Paris. But this plan wasn’t really a plan, it was more of an idea. An idea I spent about 10 seconds thinking about before the trip. When I got to Paris, I was confronted with the shallowness of my thought process. How does one photograph shoes and monuments together? Was I going to do a karate kick to take a photo of the shoes with the Mona Lisa? Sometimes I am not too smart. Instead of the shoe photo essay, I ate a lot of cheese. Which was easier. Tastier too. And French cheese is the best. I was told a number of times that cheese is for dessert in Paris. I did catch many French though eating cheese at breakfast and lunch, so apparently there are exceptions to rules in France. Like the States. Or dessert time is anytime. I had a great time in Paris. Paris has been in the news a lot recently but I always felt safe and the French people were super helpful. Maybe it was because of the shoes. Actually, its always due to the shoes. That’s why you should wear a nice pair everyday. 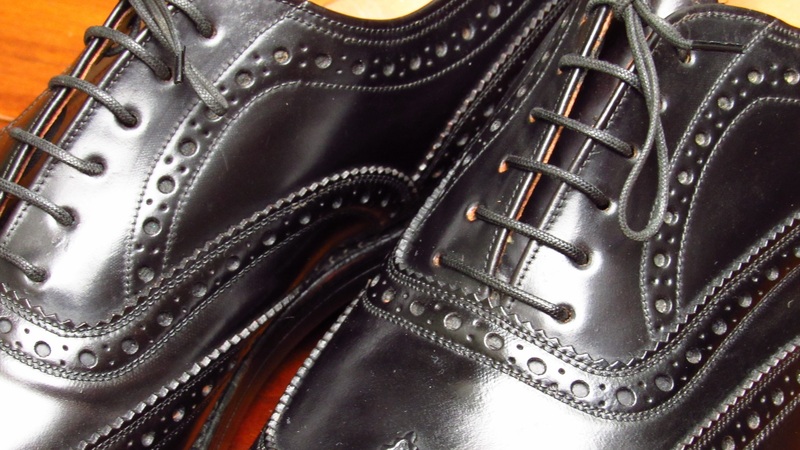 This week’s post is about a nice pair of shoes. But they didn’t look so great when I found them. The pair was dirty but I could tell they were special when I saw them. The pair was a bit like a car barn find. Here is how they looked when I bought them. 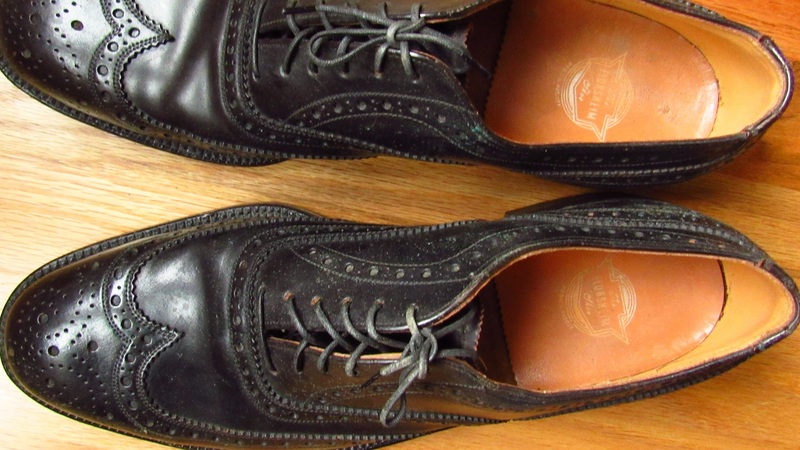 I could tell the shoes were black shell cordovan wingtip and likely 60 to 70 years old. And unworn. The shell upper was grimmy and the sole had some salt extrusions or fungus on it. 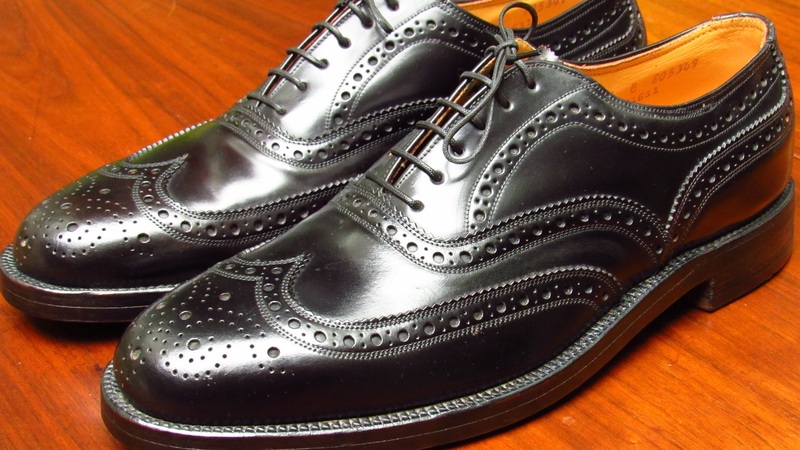 I gave the shoes a wipe with a damp cloth and then a good brushing. That improved them quite a bit. Old, dry shell can tear. And it breaks your heart when it happens. Which then makes for a grumpy lunch if you lunched with me the next day. The upper on this pair was a bit stiff. I didn’t want to bend the leather. And I didn’t want any more grumpy lunches so they needed some serious conditioning. For the first round of conditioning, I used Lexol leather conditioner. 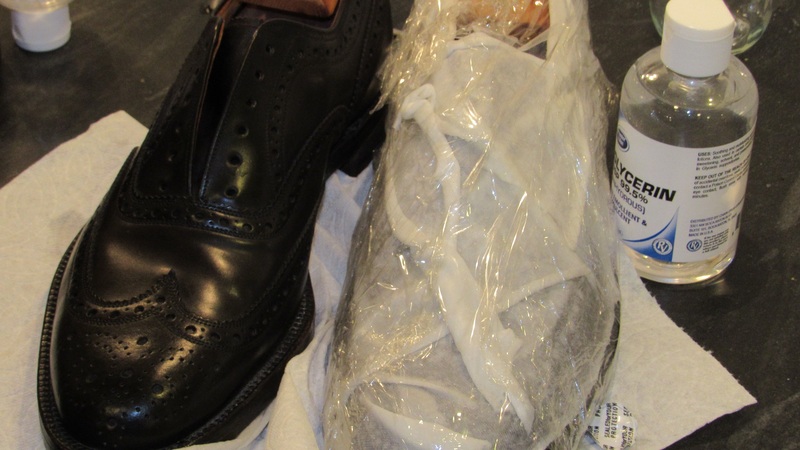 After a day or so of letting to shoes rest, I proceeded with a glycerin based conditioning that learned from Europeanblend blog and documented in a few previous posts. 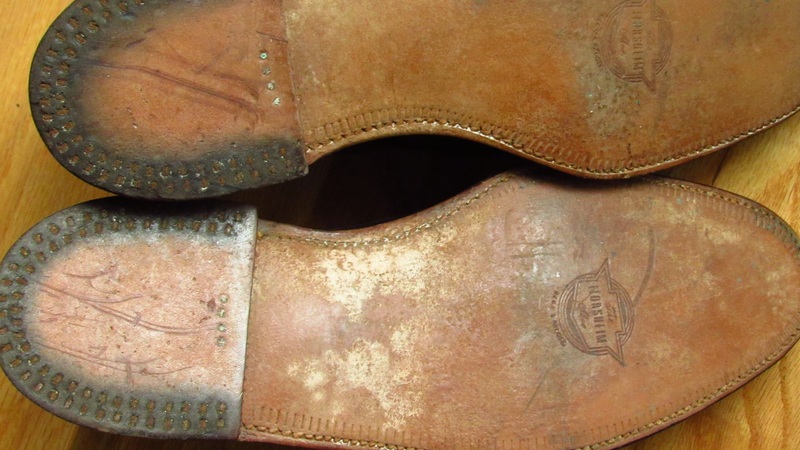 The process involves applying a glycerin solution to the surface of the upper and waiting hours for it to be absorbed into the leather. I have had success with the process in the past. 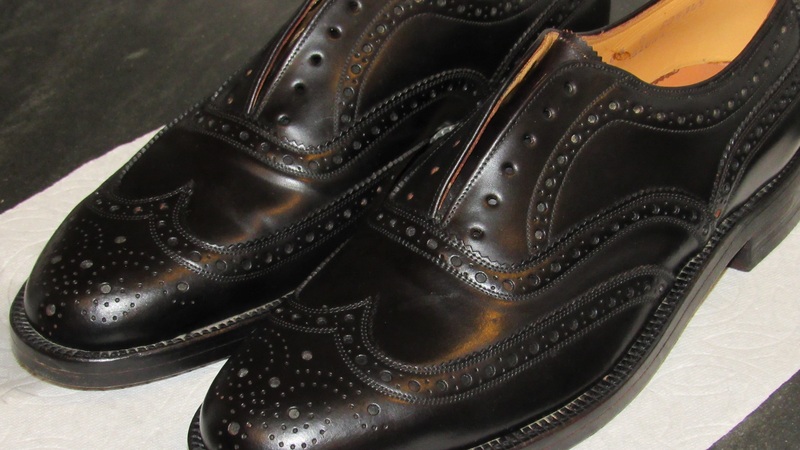 This is the pair when the glycerin treatment was done. 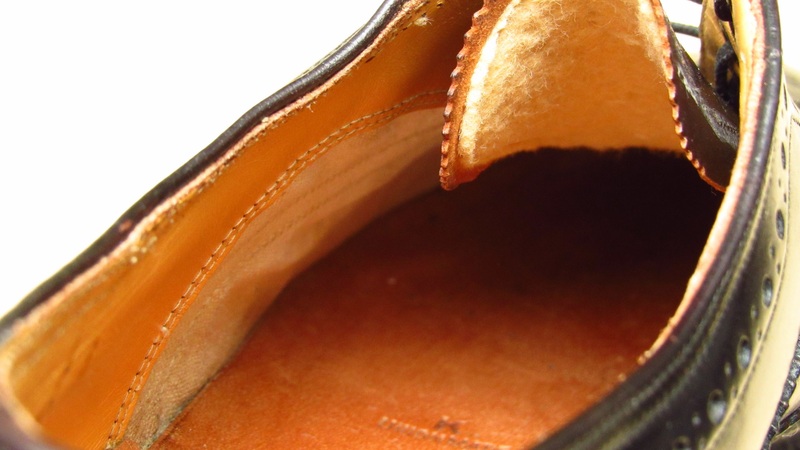 The upper leather felt cool to the touch. I gave the pair a couple more rounds of Bickmore Bick 4 conditioning. I finished the shoes with two rounds of Collonil 1909 Supreme Neutral. 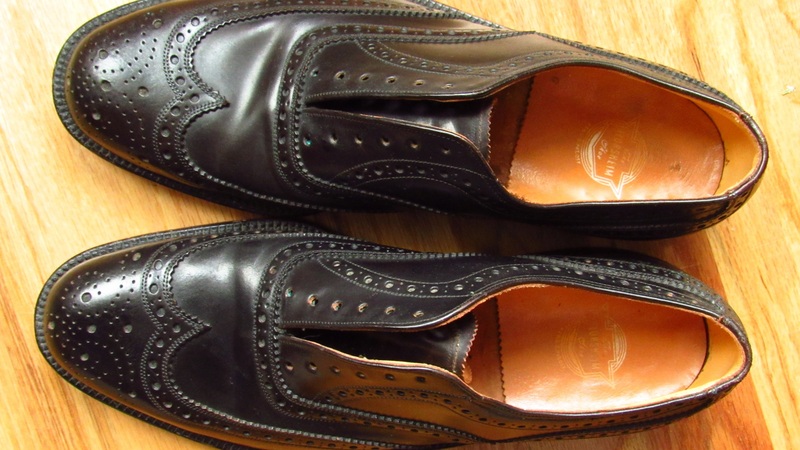 I also cleaned and conditioned the outsole and edged the sole as well. 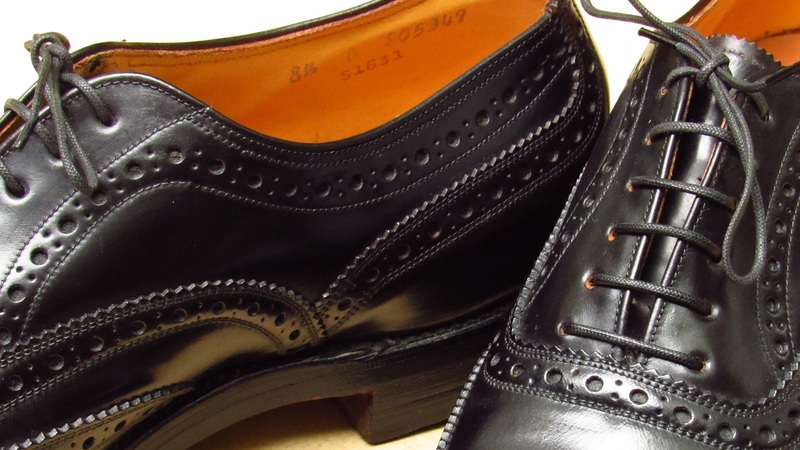 At the end of the process, the upper leather looked great and felt supple again. 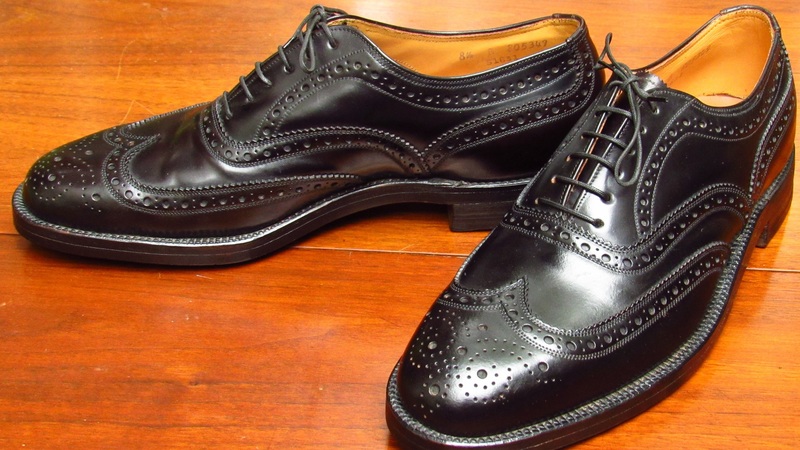 I had no information on this S1631 model in any of my Florsheim literature and my online searches came up with nothing. 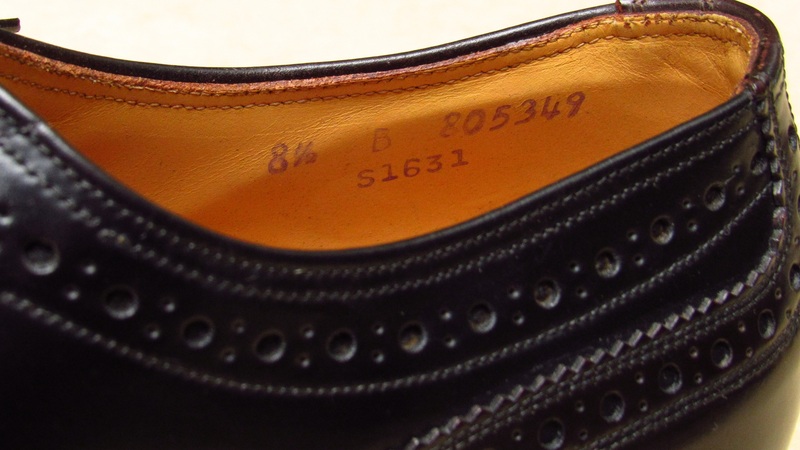 The shoe construction is similar to a few other pairs I have seen from the early 1950s so that’s likely the timeframe this pair was made but that’s an educated guess. 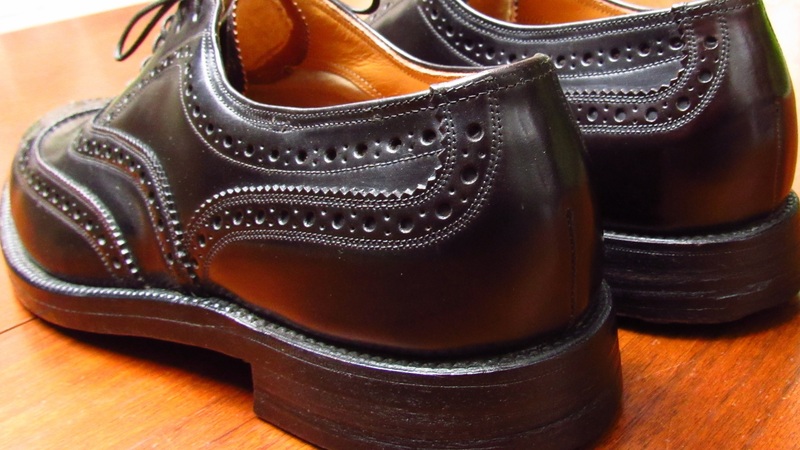 The shoes have a goodyear welted double leather sole with a stacked leather heel. 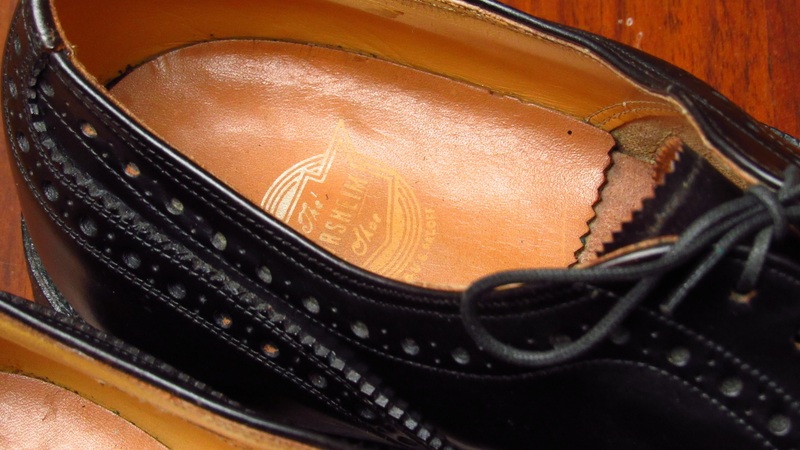 The heel has no v-cleat but is armored with a large number of nails. I should have counted the nails but I didn’t. I am lazy. 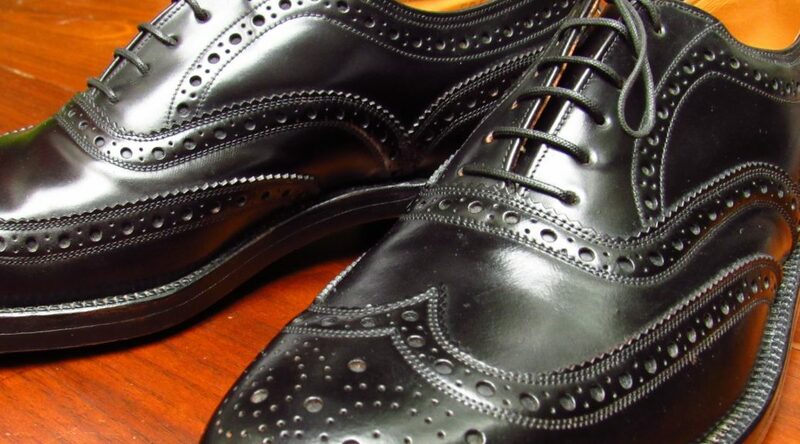 The outsole has a spade-ish shape but I wouldn’t call it a spade sole. 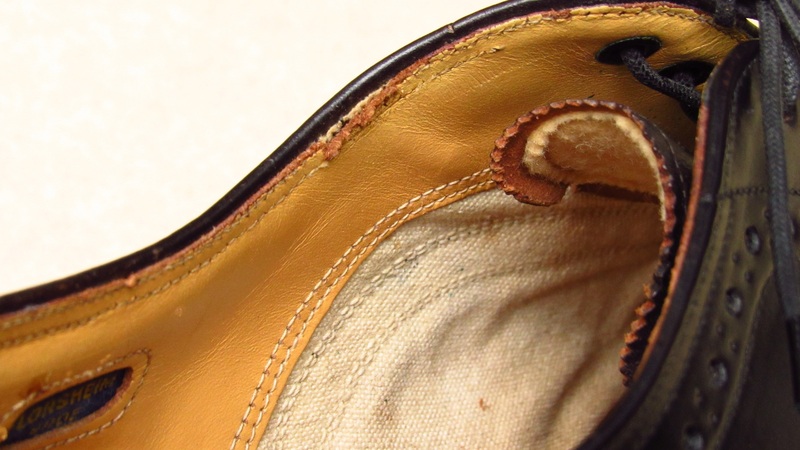 Like most shoes of the era, the interior of the shoe is lined with leather and cotton drill. 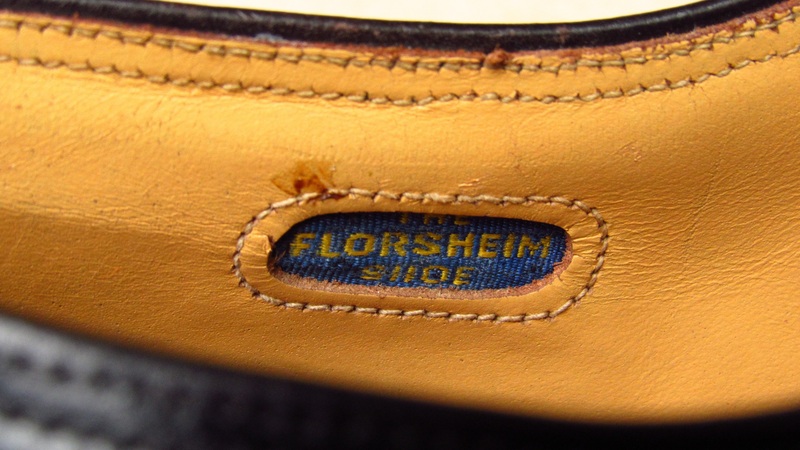 The insole is partially covered with a pad with the Florsheim logo. 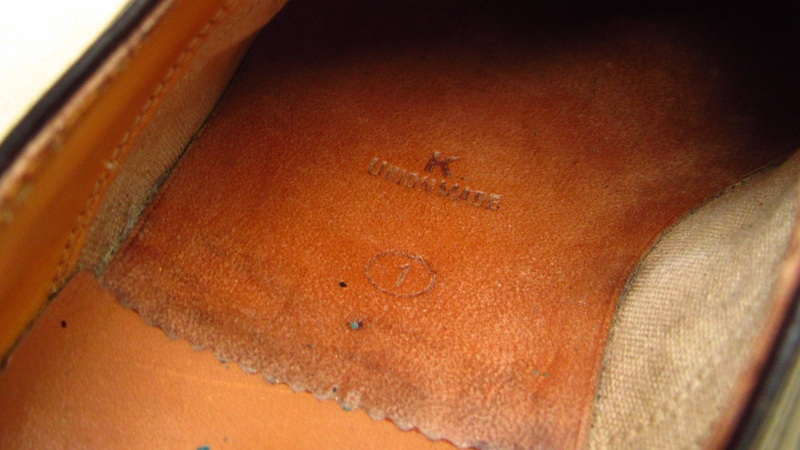 The exposed portion of the insole is stamped with “Union Made” and a “K” and the number 1 in a circle. I assume the “K” refers to the manufacturing facility but again, this is a guess. 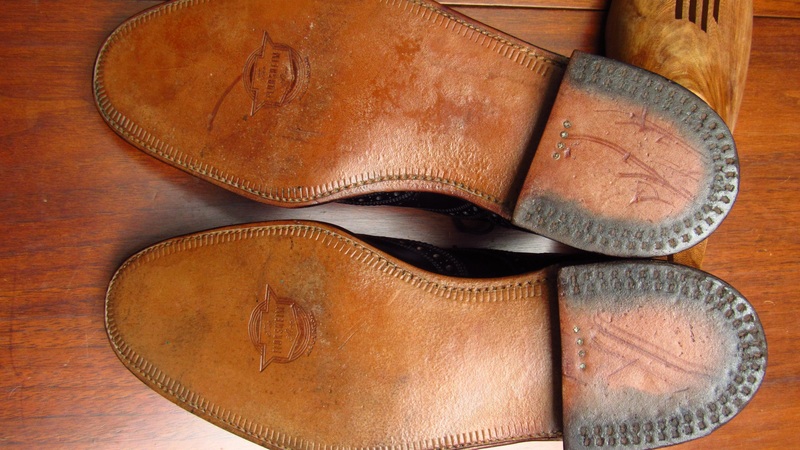 I also conditioned the insole with Bick 4 since it was so dry. I was happy with how the pair came out. It was a multi-week process. Now I need to get back to Paris and eat a horse burger while wearing a pair of horse leather shoes. Great find! 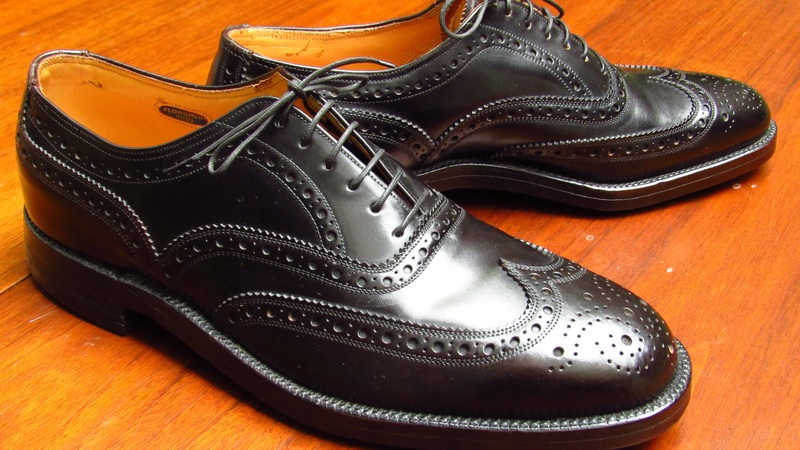 It is wonderful to think that a great pair of shoes will finally see the light of day after 50 plus years of being hidden. Those are terrific! It looks like approximately 70 nails per heel, which is 10 or so less than my ’68 Imperials. I have a pair of 93605 that were unworn. I didn’t condition them well and they have now developed a small tear after a few wears near the small toe. Do you have any recommendations for how to fix it? If you don’t mind, where did you find these and what did you pay? I do need a pair, especially at that price. I just don’t seem to have the luck with my size 13 B-D feet. Those are just stunning! 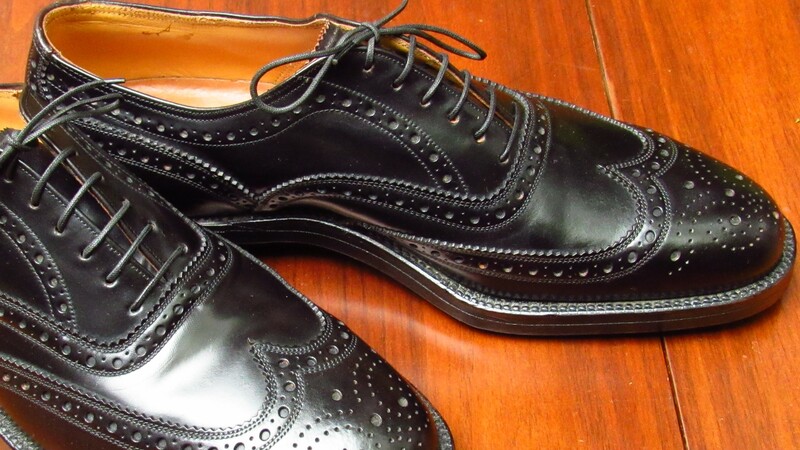 I’d love to find a pair of that vintage in such outstanding condition. Bravo!